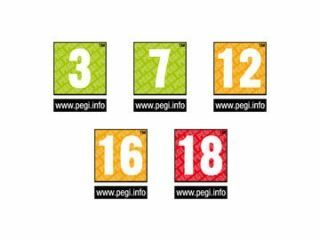 With the Digital Economy Bill now being given Royal Assent, PEGI is officially the new classification system for video games. The argument between Elspa and PEGI rocked gaming in the UK, but one of the less controversial clauses in the Digital Economy Bill will finally see the PEGI system become the sole classification for gaming. Elspa's Michael Rawlinson said: "This is a huge victory for child safety, Elspa and the games industry." "It is the culmination of a 2-and-a-half-year campaign based on hard work, commitment and determination," he added. "At the beginning of the campaign no-one gave us a chance of success following the initial Byron Review and the DCMS Select Committee findings - both of which preferred the sole classification of videogames to be awarded to the BBFC. "A combination of a highly skilled political strategy coupled by the commitment of our board and members has seen us claim a victory against all the odds. "This achievement once again reflects how far Elspa has travelled over the last five years in changing the attitudes of Parliament towards the games industry."